Here is an example of one council’s rules. 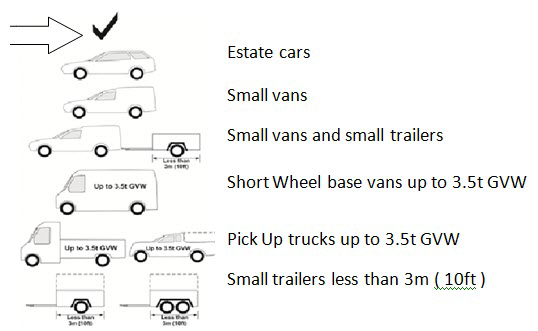 Vehicles larger than these size examples may result in an extra charge. Remember that all councils can have their own standards/set of rules. It is smart to check! !